Symantec is the world’s largest maker of utility and security software for personal computers. 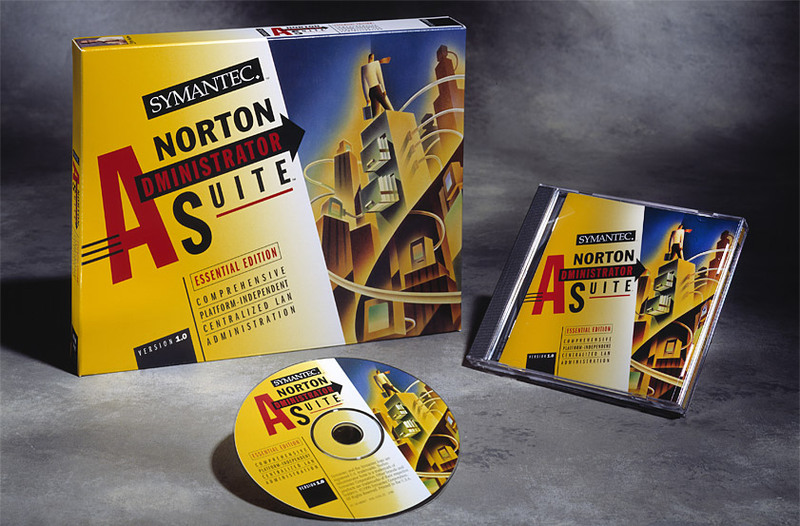 Norton Administrator Suite is a software program targeted towards systems administrators managing networks of 50 workstations or more. The software provides integrated, platform-independent control of a wide range of network administration functions. Our solution uses a bold, heroic figure atop the cluster of wires and buildings to symbolize the software’s ability to provide greater command and control over network administration, management, and configuration.